To make this card I used the same big flower image and framelit but this time I made a tree instead of a flower! That's one of the things that makes this bundle so versatile! 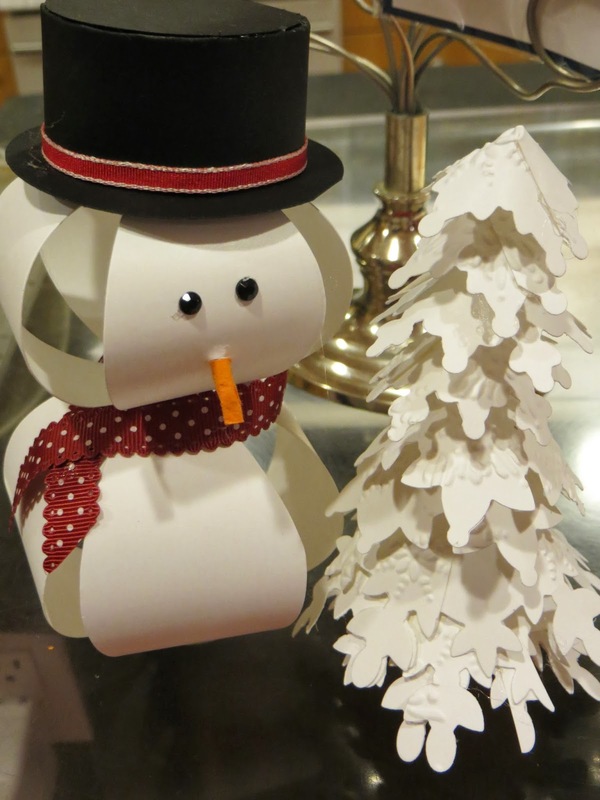 We made this final card at the Pine River Senior Center and also at our Library Crafternoon program! Quick and easy but so cute! Have a wonderful week and please don't hesitate to contact me if you have any questions or need to place an order. Thank you! 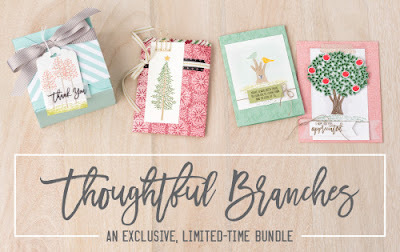 Today is the last day of both the big catalog AND the Occasions catalog sob sob... but in some ways I like when they retire because it allows room for lots of fun new stuff! This was a May Stamp Club club. We inked up the inside of the folder before we ran it through the Big Shot! This is the card Tammy bought to our demo meeting for us to make - Love! This winter we finally installed solar power on our house. This was largely thanks to an amazing guy, John Lyle, who donated his time and skills to help us make this dream a reality. 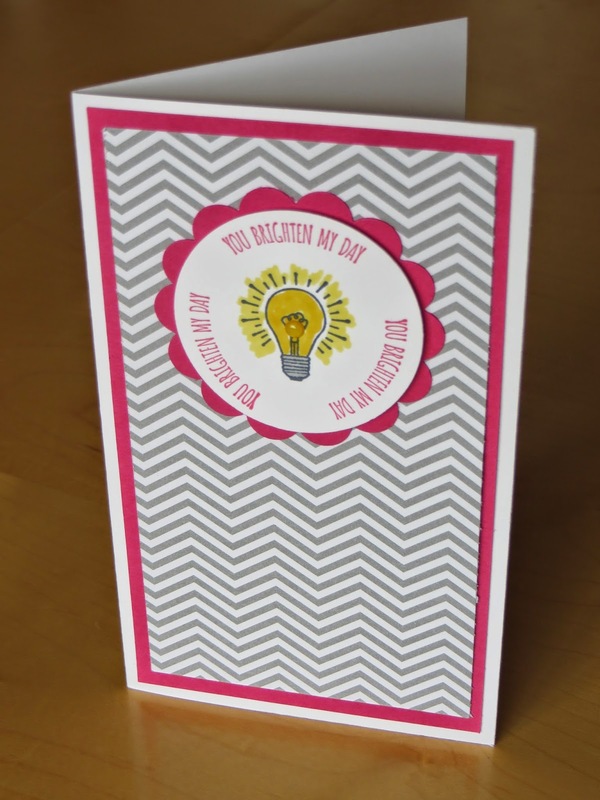 When I saw the lightbulb stamp in the new Sale-a-bration set, You Brighten My Day, I thought this would be the perfect image for a thank you card! Thanks John! 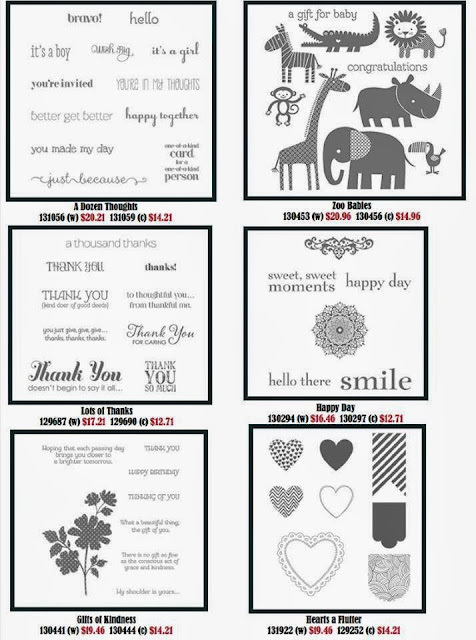 We made these fun labels to hang onto a bottle of wine or champagne at our last Stamp Club. This one was made by Rhonda - she had fun making the different numbers and changing everything up. 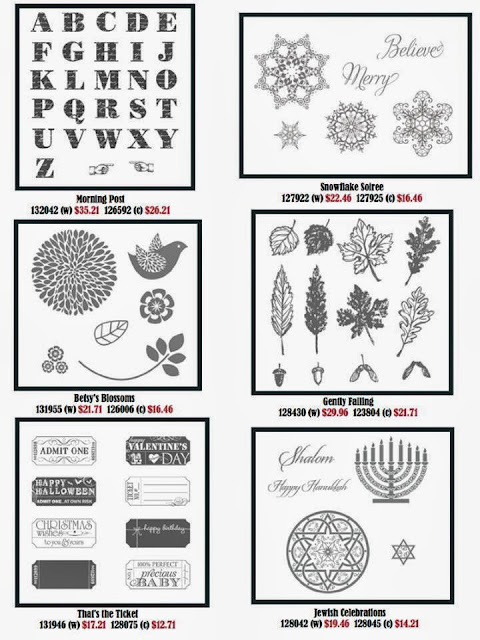 In the bottom one Barbara used the snowflake embossing folder along one edge of the silver foil cardstock, I love how this turned out! We used the frosted embellishments as charms to hang around the neck of the bottle. Too cute! Our team had a really lovely meeting on Monday! It was a tea party so I baked English scones for us to eat with cream and preserves - yum! Some of our team bought along some of their samples to share, aren't they so cute! Here I am attempted to eat a whole pumpkin cheesecake... no contest! Please let me know if you might be interested in joining our team, we have way too much fun and you can join locally or long distance as a hobby or business demonstrator. 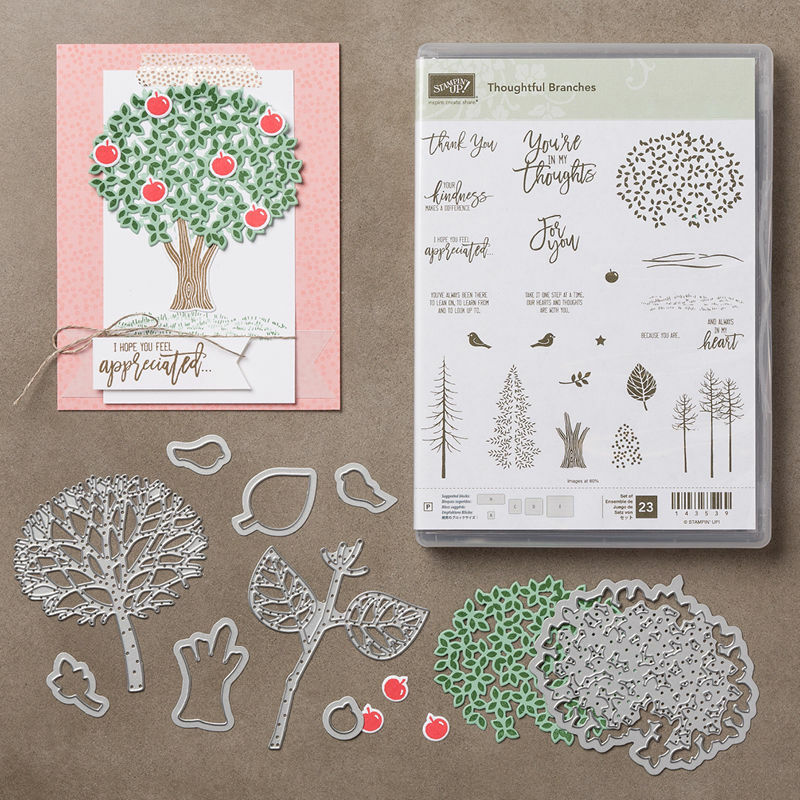 Happy 25th Birthday Stampin' Up! 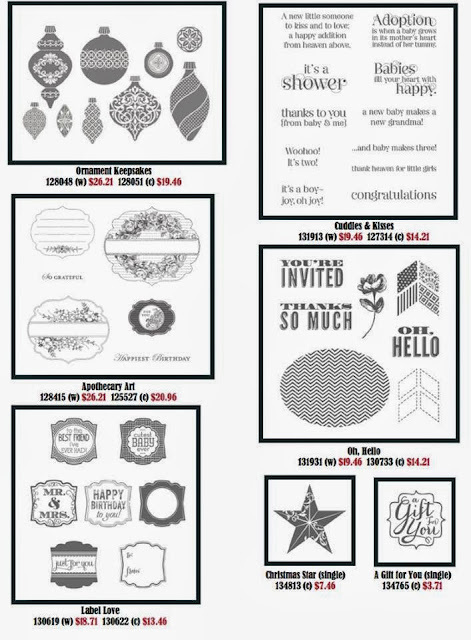 Here are thumbnails of all the stamp sets that we have on sale for 25% off for just one week... To order you can email me OR go online and order and use the Hostess Code ZQAXD2GR. And wait - there's MORE! 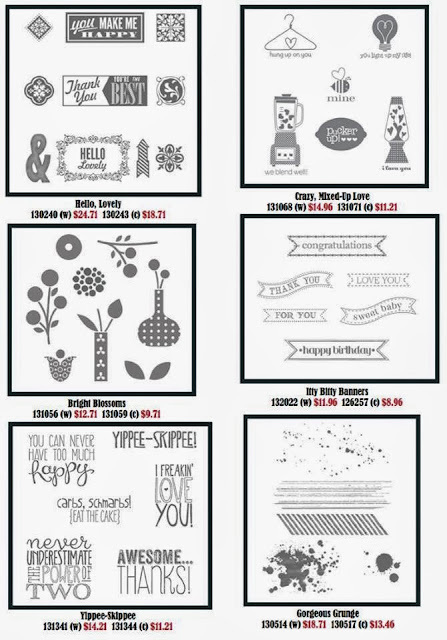 These items are on special too... squeal! And there's MORE! 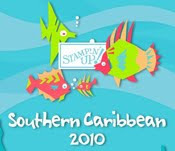 The special to sign up to join the Stampin' Up! 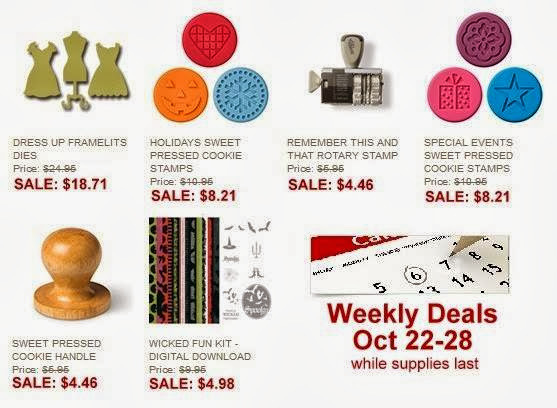 family as a business or hobby demonstrator is extended until TONIGHT too! Yippee indeed!!! Get it while it's fresh! Receive an email alert when I have news on my blog! Hi! I love to drink tea while I create! It might be something to do with growing up in England, it seems to me that tea makes everything a little better. To me it symbolizes comfort and friendship, it's something I share with a friend, old or new. So please take a minute to sit down and have a cup of tea and stamp with me!